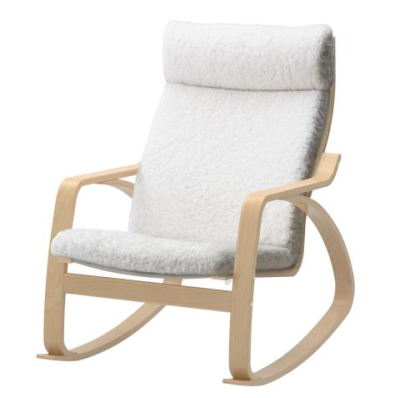 Finding a mid-century, or at least mid-century-looking, rocking chair wasn't easy. Of course there are various Eames rockers and lounge chairs, but it'd be hard to fall asleep with a baby in your arms in any of them. We finally came across something that we like. This little number from IKEA. We went with the sheepskin cushion because it made it look a little more cozy and comfy. 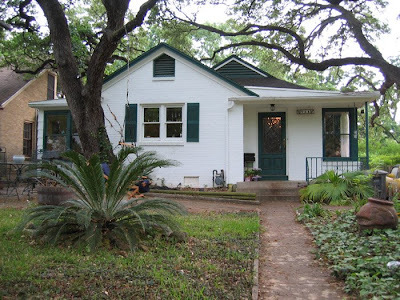 A while ago I found out about mid-century, Austin door company Crestview Doors. 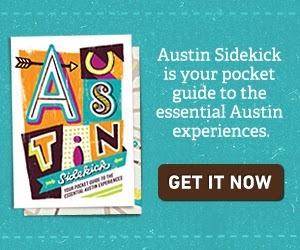 (For those of you who don't know, Crestview is a section of Austin that's packed with mid-century homes.) 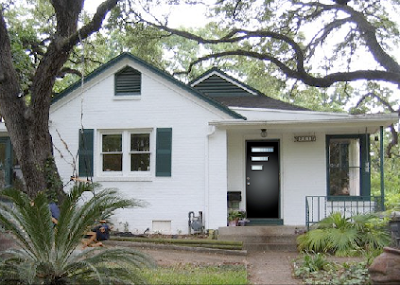 Crestview Doors got started when the owners couldn't find a proper door for their mid-century Austin remodel - making a single, custom door for themselves branched into a new business. Crestview Doors has a great feature on their site called Door-o-Vision where you upload a photo and see what one of their doors would look like on your house. We found the door that we want, the only question is which way do we want it to "point." After deciding, it's just a matter of ordering a door, ordering the light kit and having it installed. (I guess we'll need a new doorknob too.) Then we'll have to paint the trim (grey or black) to match the wonderful new door. While I was weather sealing the cord holes in the living room (now that the surround sound is in), I figured it'd be pretty easy to take it a few rooms over and seal up the bedroom as well. And I was right. All the wire/cord outlets in the house are now sealed. Behr Light French Gray (720E-2) - 2nd row down, 4th column from the left - is about to play a very important role in painting the nursery. If you go back to the grey wall it's the top left color swatch. Now that the surround sound is in and all the wires are where they need to be, the outlets that give them access to the room have been properly filled and weather sealed. A small job, but it will hopefully cut down on the heating/cooling bill a bit. We're in the process of picking a rug for the nursery. As much as we love the hardwoods throughout the house, we want a nice soft spot in the middle of the nursery where the kid can crawl, play, etc. We're probably going to go with a green to 1) add a splash of color and 2) make it look a bit like a grass floor in our travel-themed nursery. And we're probably going to go with the one on the right. It's a bit of a shag, which keeps with the mid-century look and feel, and it doesn't look like AstroTurf. Putting in the surround sound was a bit of a pain. Like most mid-century homes, ours isn't pre-wired for modern-day technology. But the last owner must have also been a bit of a tech-head because the place is wired for cable (both TV and Internet), surround sound, etc. But the wires aren't in the walls - they run in the attic or under the house. It's a bit ingenious because every room in the house is wired for cable and both the living room and study have Ethernet cords in multiple spots - and no walls had to be punched out to hook it up. For the surround sound speakers, the wires run both in the attic and under the house. So it was a day of running up into the attic and crawling down under the house. It was a mixture of dirty and hot, but things are completely hooked up and everything sounds great. We finally made a trip up to IKEA to pick up some chairs to go with our patio table and bench. We thought white would balance the dark wood nicely. The window in the guest bedroom had the old "nails for a lock" look. One new lock later and we're a bit safer and another item is checked off the list. We're starting to put together the nursery - we're not totally crazy, the doctor actually suggested it ("while you have the time and energy" was the phrase). So we set out to find the focal point of any nursery, the crib. Safety is obviously the biggest concern, but aesthetics play a part too - as Rachel said, "it can't look like a jail." 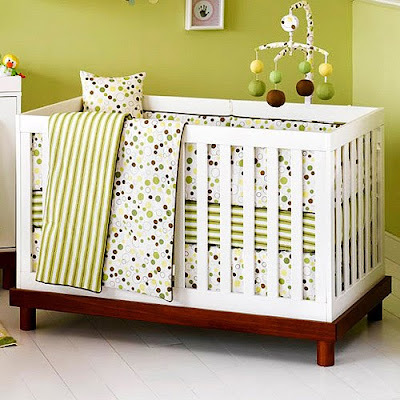 Eventually we came upon the Baby Mod Olivia crib and it's pretty much exactly what we were looking for. It's safe, doesn't look like a jail and has a non-espresso wood (although the rest of the nursery will probably be birch, not amber).